Newer: » Northern Softball Regionals: One round down, one to go! 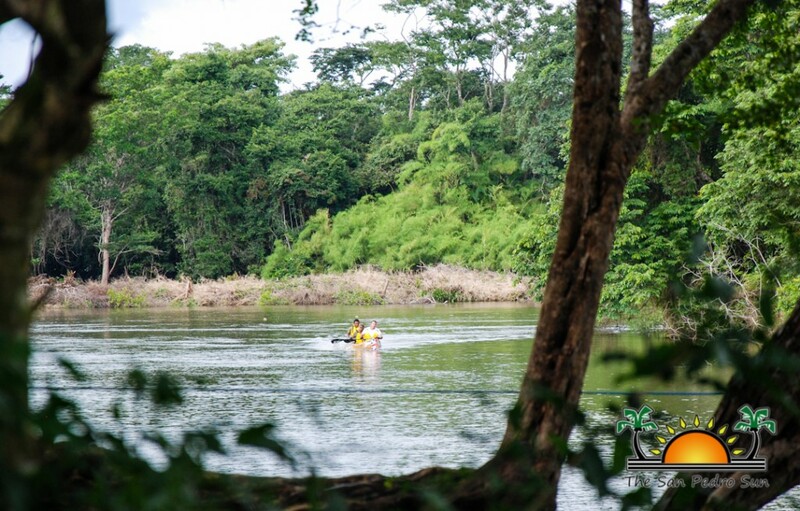 It was that time of the year again, when the river banks of the Mopan and Belize rivers, along with the many communities trailing its course, became alive once again with the 19th annual La Ruta Maya Belize River Challenge. 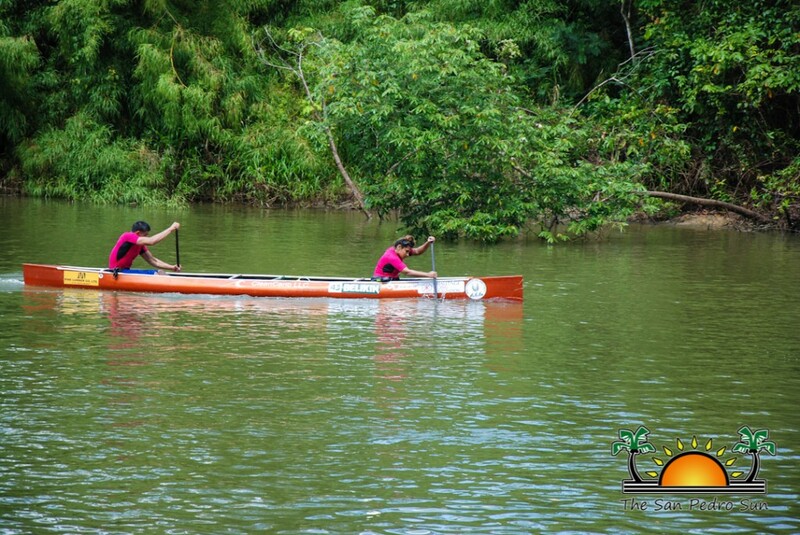 The four-day canoe race saw competitors enduring the odds of the weather, changing currents of the river and the bogginess of the tropical Belizean environment. 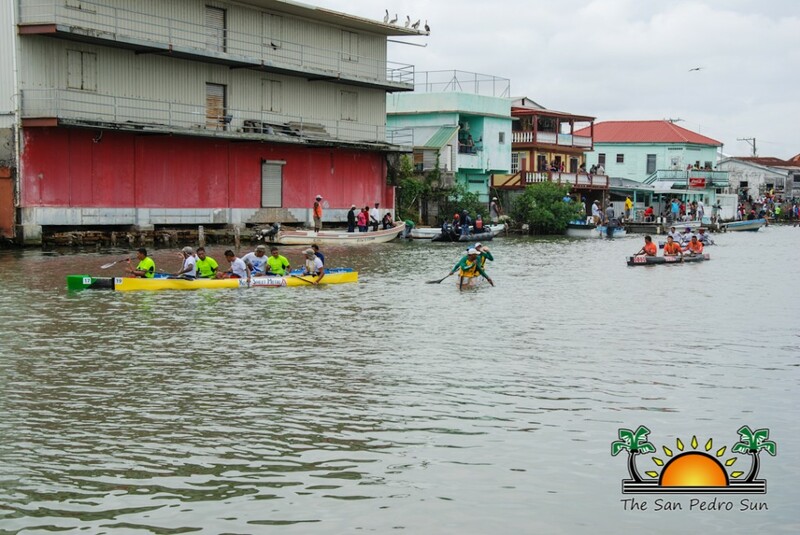 61 teams competed in seven different categories in the gruelling race that took paddlers from San Ignacio Town in the Cayo District all the way to the Swing Bridge in Belize City. The 180-mile race began on Friday March 4th, and ended on Monday, March 7th with Team Koop Sheet Metal, comprising of Hener Cruz, Jerry Canto, and Jerry Rhaburn as the overall winning team of this year’s challenge, clocking at 17:08:46 in accumulative timing. 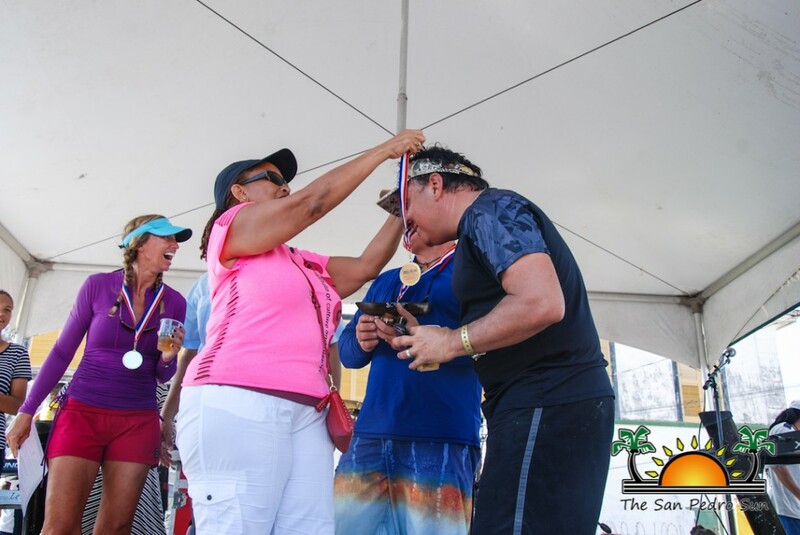 Among the teams were two outstanding sets of participants who were all in for the fun of the competition, proudly representing Ambergris Caye. 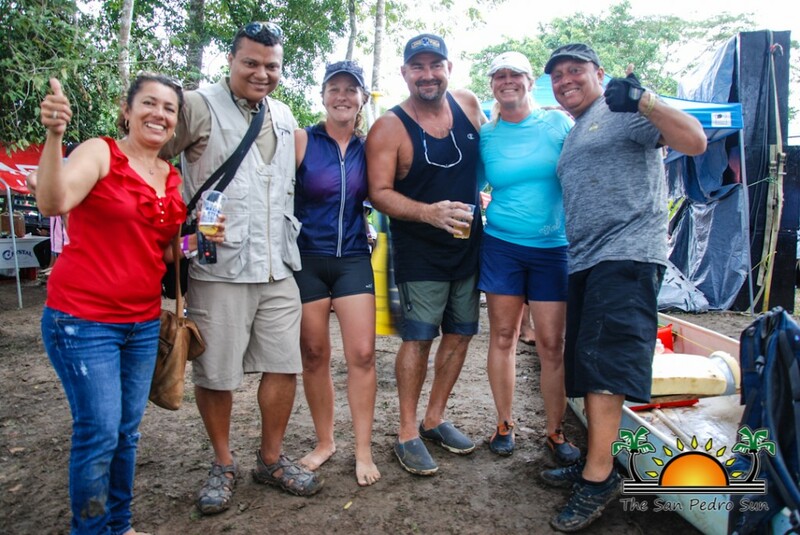 Team “Hope We Finish,” comprised of Dee Regis, Brittney O’Daniel, and Greg Lamb and Team Reef Runners comprised of Edwardo “Wayo” Vasquez, Lisa Rusinek-Cyrier, and Ronnie Cyrier took on the challenge and joined the paddling tradition. “It is a challenge and I am happy to be part of it. Is not about winning, is about committing yourself to the challenge and overcome it,” said a determined Wayo. 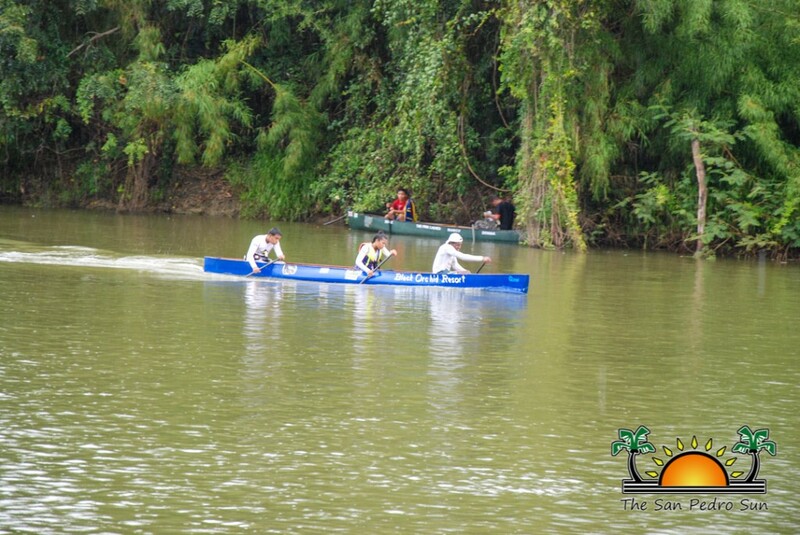 The first leg of the race took the paddlers 46 miles down the Mopan River then into the Belize River ending at Banana Bank. 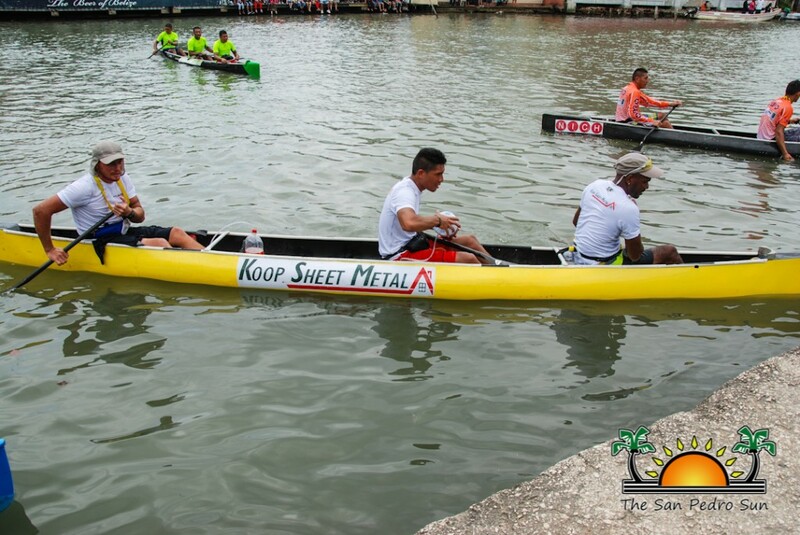 Team Koop Sheet Metal finished in first place on the first day of the race at Banana Bank, clocking in at 4:44:53. Team BTL Cobbs Arm came in second, a little bit over a minute behind with a clocking time of 04:45:09 followed closely by Belize Bank Bulldogs clocking in at 4:47:16. 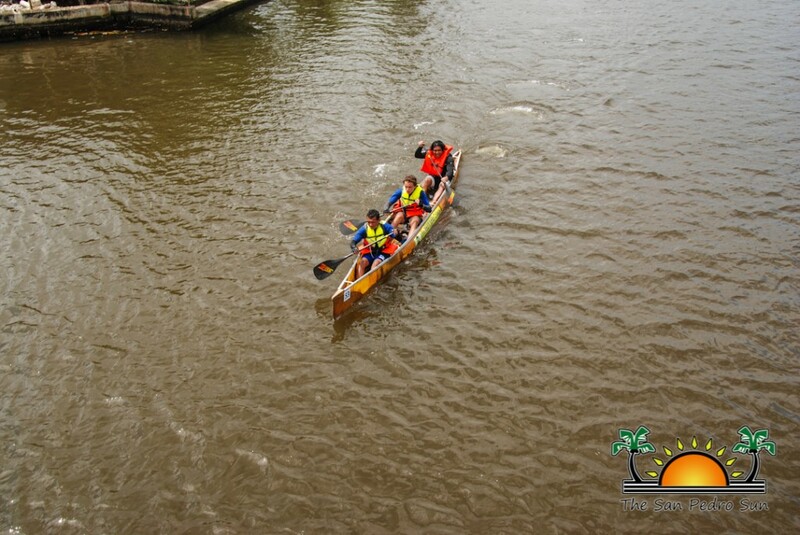 The second day of the race saw the sixty-one teams paddle from Banana Bank to Double Head Cabbage Village, the longest leg of the race, for a total of 60 miles. Koop Sheet Metal once again won that leg of the race, clocking in at 5:21:05. With that win, they were ahead of everyone in the competition. 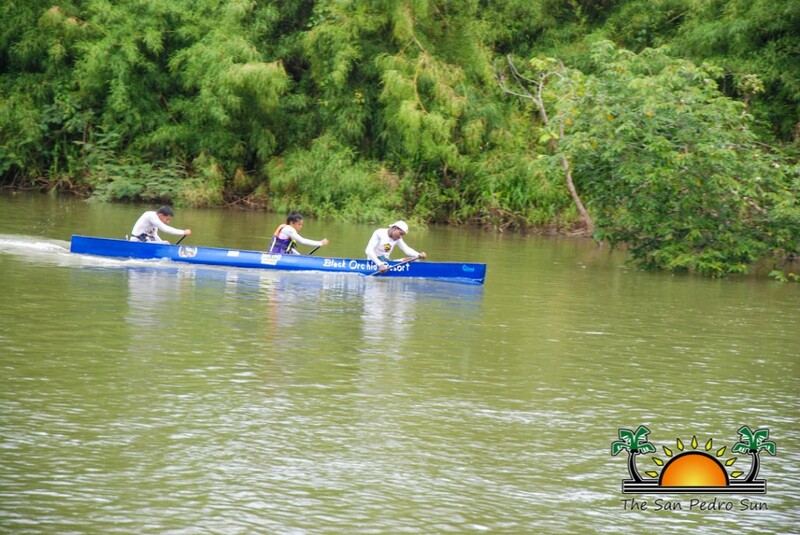 As in the previous leg, they were closely followed by BTL Cobbs Arm who was nineteen seconds behind the leading team. 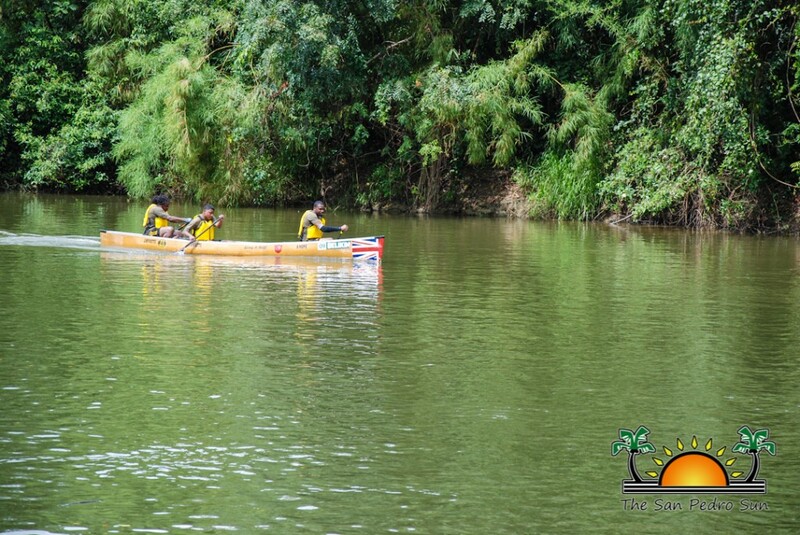 The third day of the race became even more contested, as paddlers made their way from Double Head Cabbage to Henderson’s Bank in Burrell Boom Village, a distance of 36 miles. 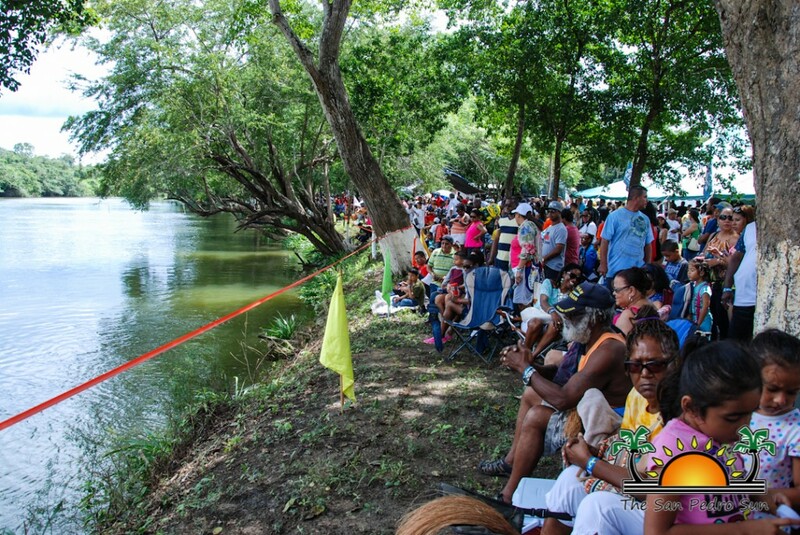 By midday, when the first teams were expected to arrive, the bank of the river was packed with spectators. 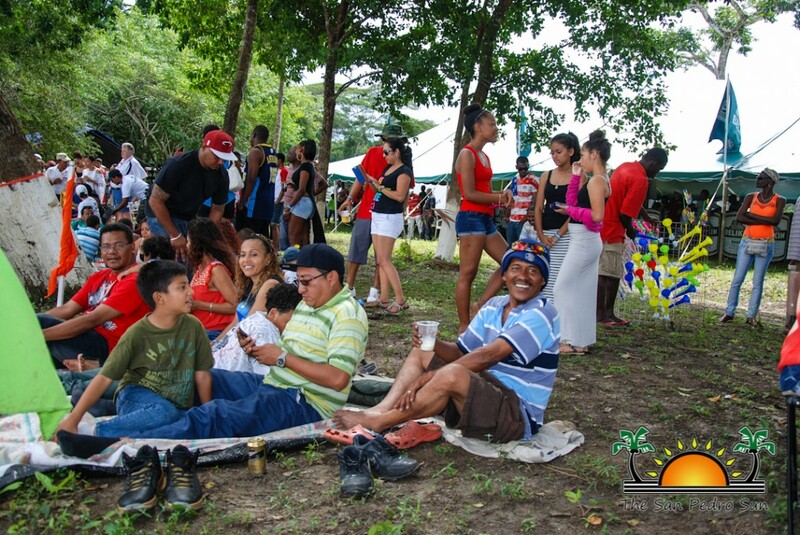 Food, music and drinks were available in abundance. It was indeed, a live jamboree by the river bank! 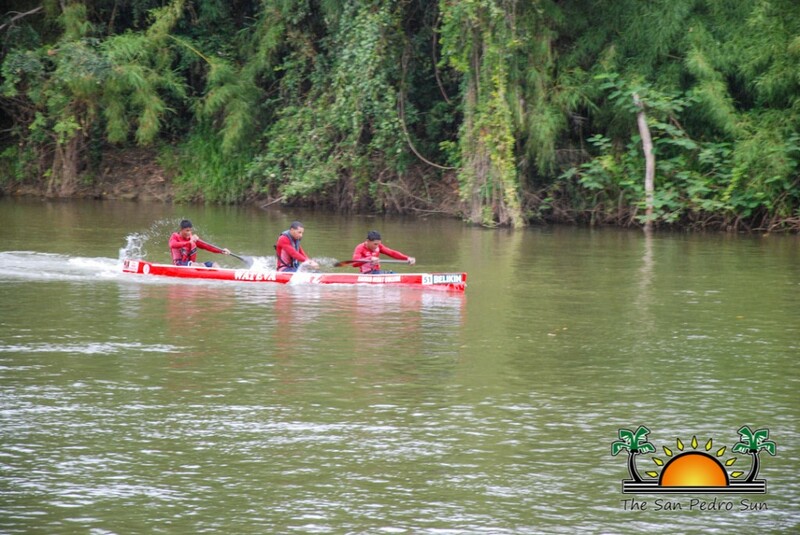 Shortly after 12:30PM, the first two teams appeared in the bend of the river. 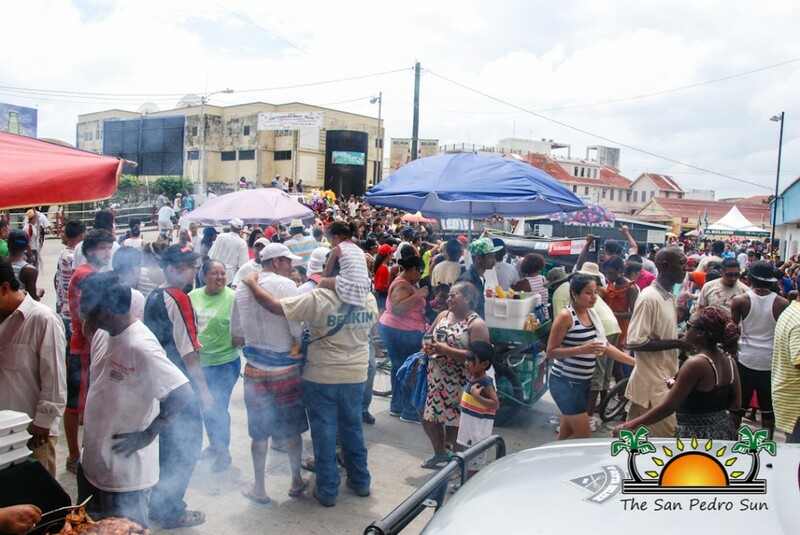 The crowd cheered loudly as Team Koop Sheet Metal, BTL Cobbs Arm and Belize Bank Bulldogs battled to win the victory of the third leg. And by a mere two seconds, Koop Sheet Metal claimed the fame once again. To the rousing applause they clocked in at 4:22:22. 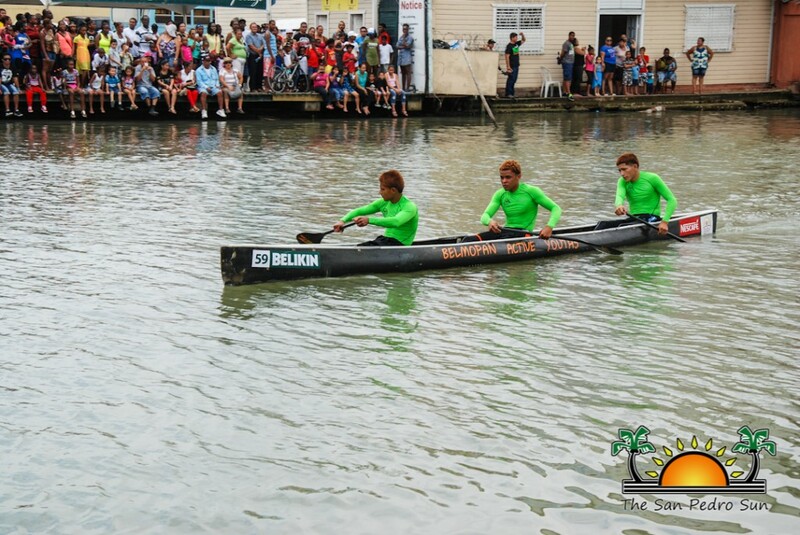 Neck in neck and just behind them, were the Belize Bank Bulldogs, who beat BTL Cobbs Arm with a time of 4:22:24. 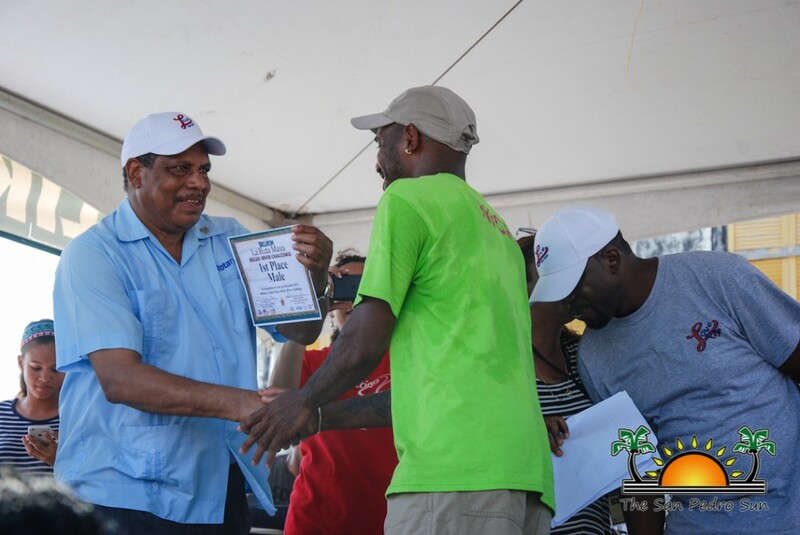 Despite coming in third, BTL Cobbs Arms were still on top of the Belize Bank Bulldogs in overall accumulative time. 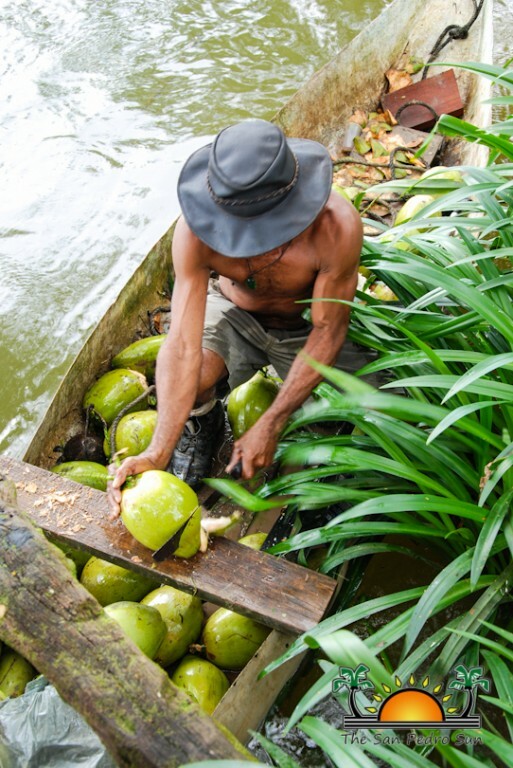 However, they needed to do better on the fourth and final leg of the race. Finally, on Monday, March 7th, the grand finale beckoned. 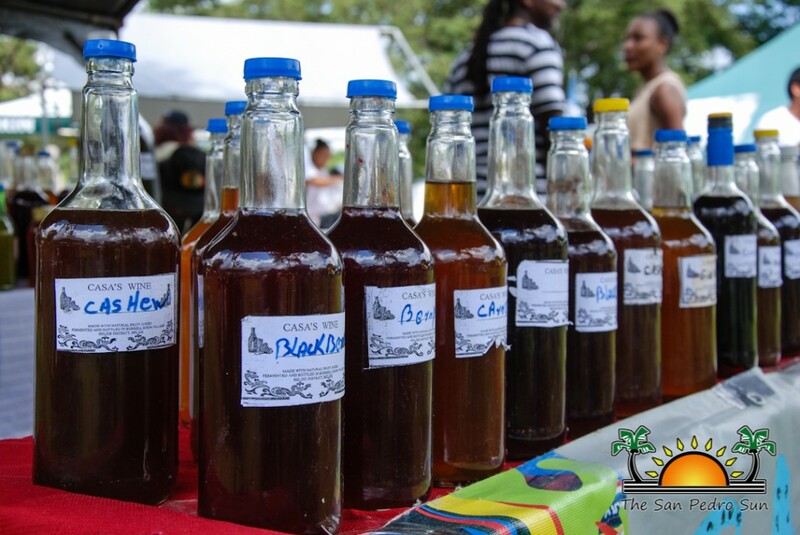 It was also a national bank holiday in honour of Belize’s Heroes and Benefactors. 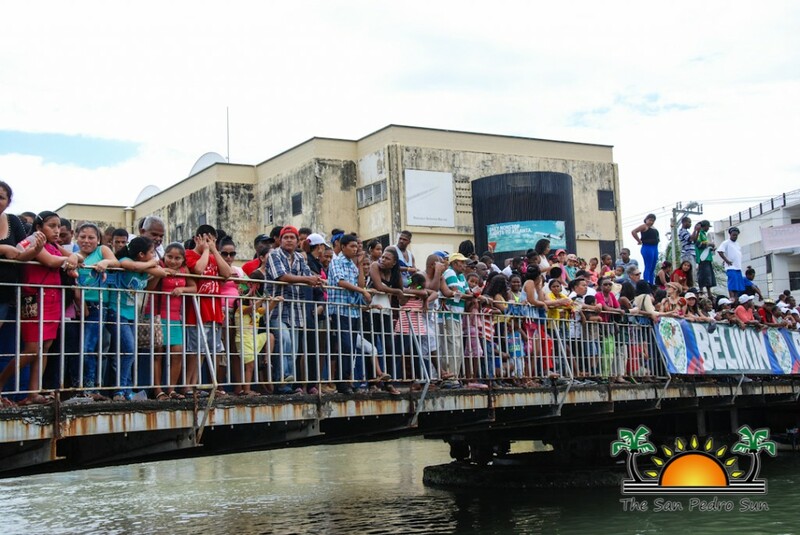 With that, thousands of Belizeans lined up along the banks of the Belize River to witness another successful end to the historic event. 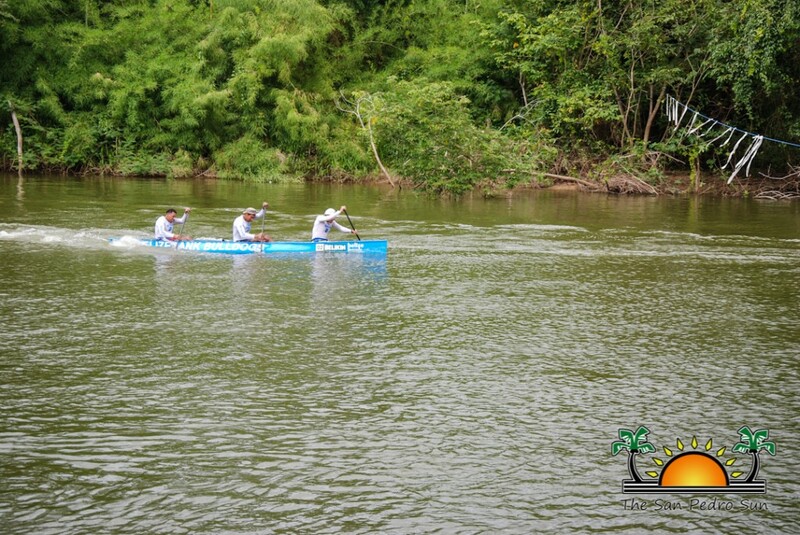 During the 25-mile race the Belize Bank Bulldogs team took an early lead from Burrell Boom leaving their main competition, Koop Sheet Metal far behind near the ending of the race. 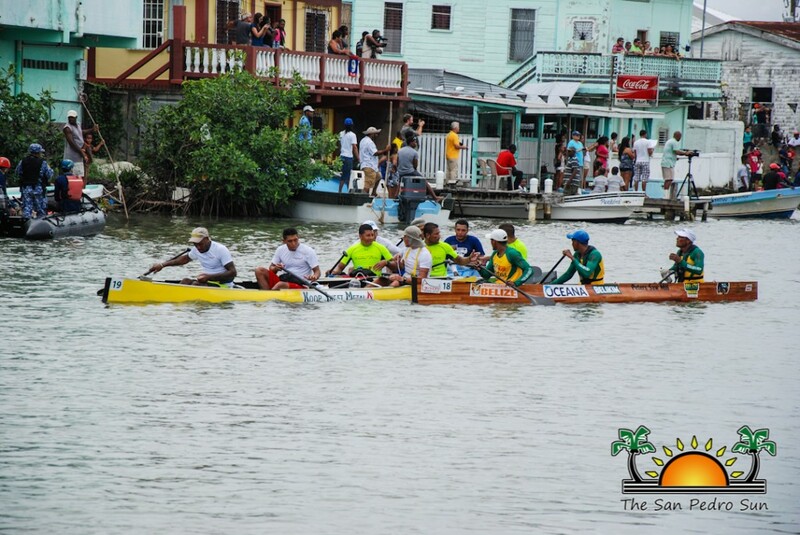 They paddled close to the finish line at the Swing Bridge in Belize City, where the battle for the first place once again began. In a hard-fought fast sprint, Koop Sheet Metal crossed the finish line first once again clocking at 2:40:26. 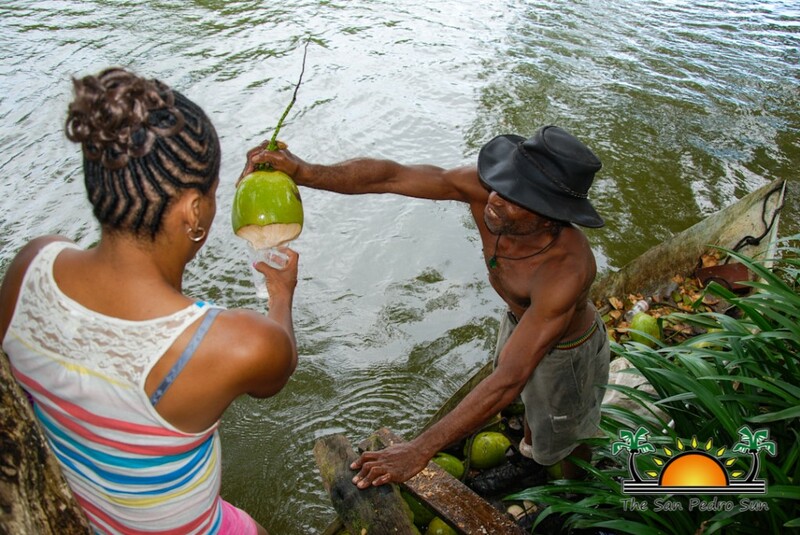 They were 14 seconds ahead of the Belize Bank Bulldogs, and one minute and twenty-one seconds ahead of BTL Cobbs Arm, which made Koop Sheet Metal the official winners. 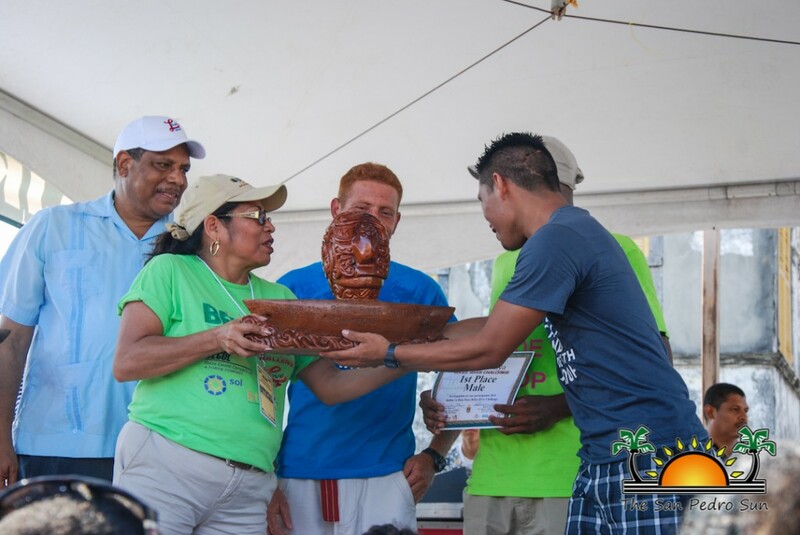 BTL Cobbs Arm, by cumulative time, took second prize overall with a total time of 17:10:24, while the Belize Bank Bulldogs took third place at 17:13:13. 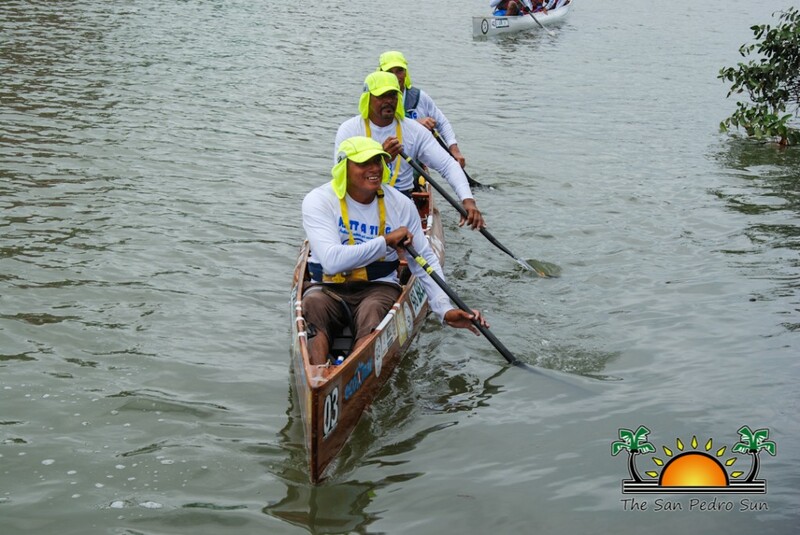 Next, was the Masters Category and first place went to Team Watt A Ting with an accumulative time of 18:45:35, and they placed 12th overall. 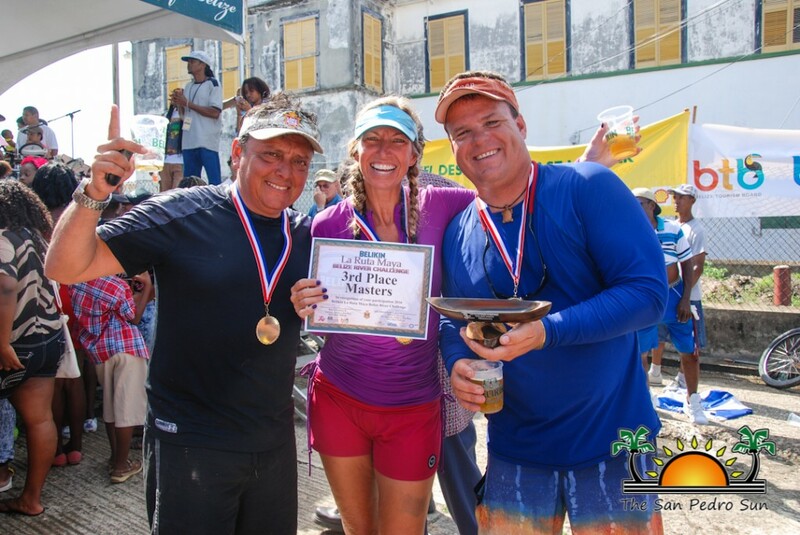 They were closely followed by Team Grumpy Old Men, while in third place was San Pedro’s very own Team Reef Runners, who gracefully took their title and represented the island well. The team plans to participate again in the race next year, when they expect to be better prepared and equipped. 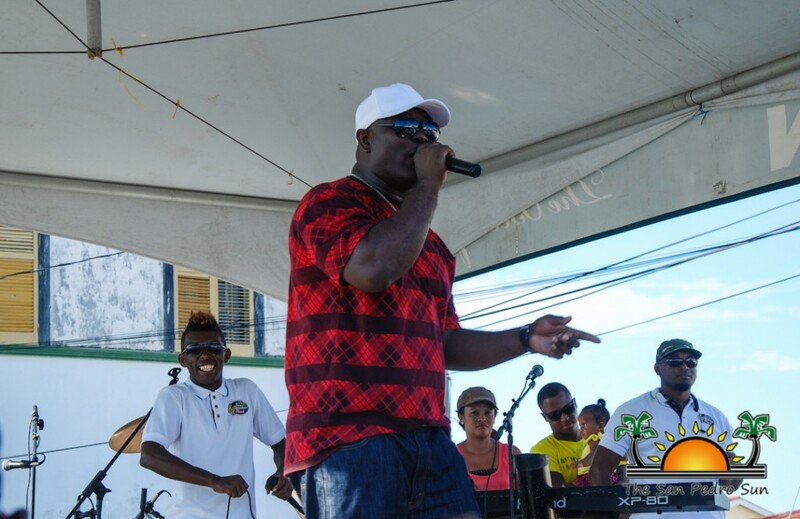 In the Pleasure Division, Weh Dem Deh finished in first place with an accumulative time of 19:20:35 and placed 20th overall. 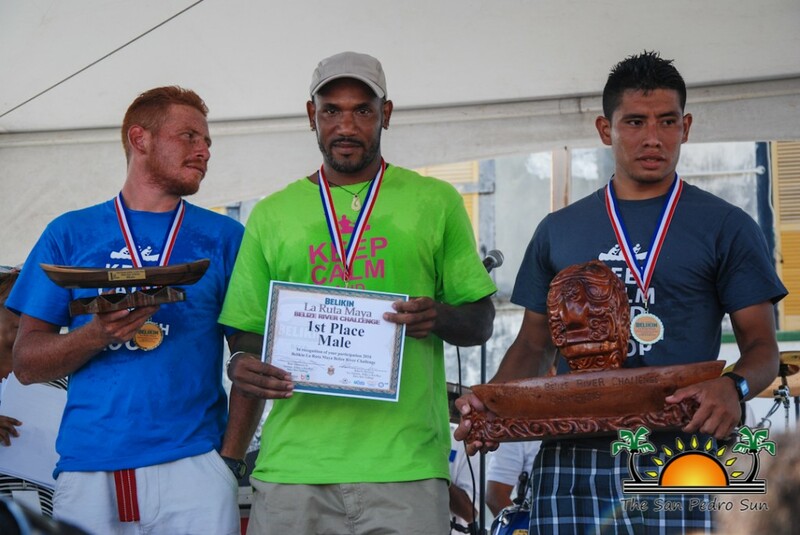 Team Print Belize claimed second place, followed by Si Wi Yah, in third place. 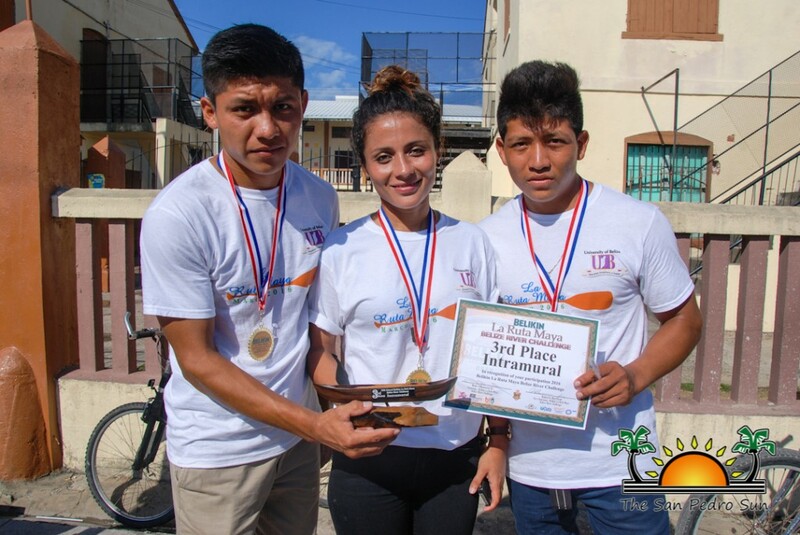 Belmopan Active Youth team took first place in the Intramural Division finishing the race with an accumulative time of 17:47:26 and placing 11th overall. Team Whatteva Boys came in second, while UB Black Jaguars took third place. In the Mixed Category, UES Impacts finished the race in first place with an accumulative time of 18:37:04 and placing 13th overall. 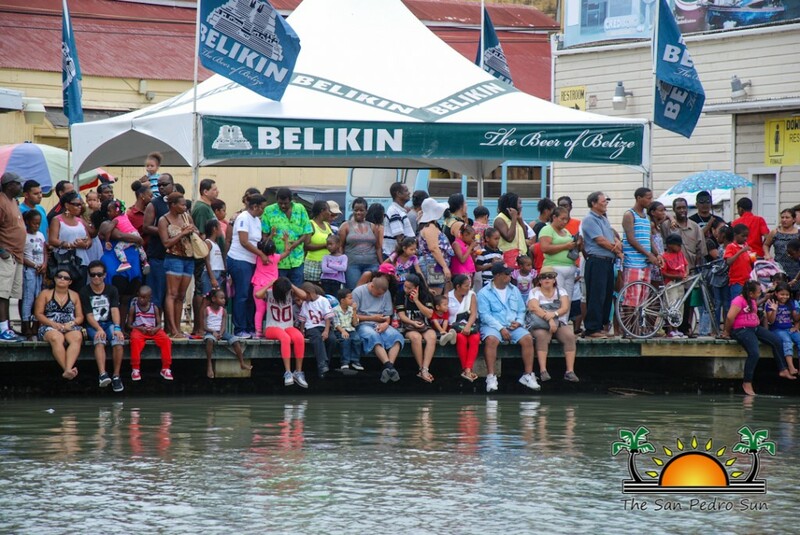 Belize Coast Guardian walked away with second place, while Black Orchid Resort claimed third place in that division. 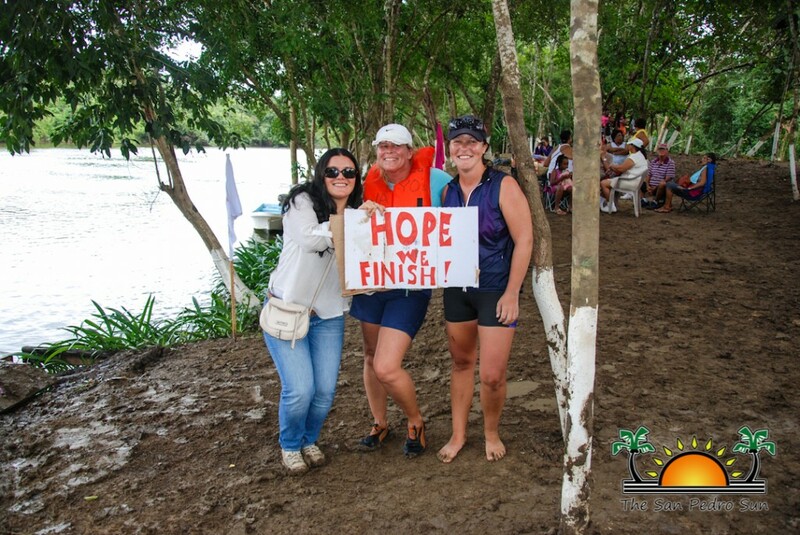 There were only two teams in the female category, and finishing in first place was Team Belize Bank Bulldogs with an accumulative time of 19:33:32 and placing 22nd overall. Second place went to Team Rod. 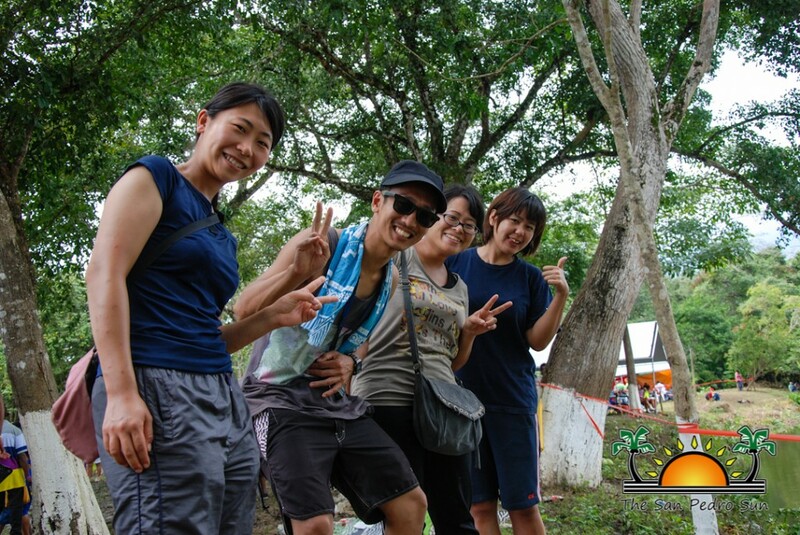 In the Family Division, which also had only two teams, Team Triple H took the first place while Team Wave Runner came in second. Following the end of the race, Team Koop Sheet Metal was presented with the Kinich Ahau trophy by the organizers on stage. 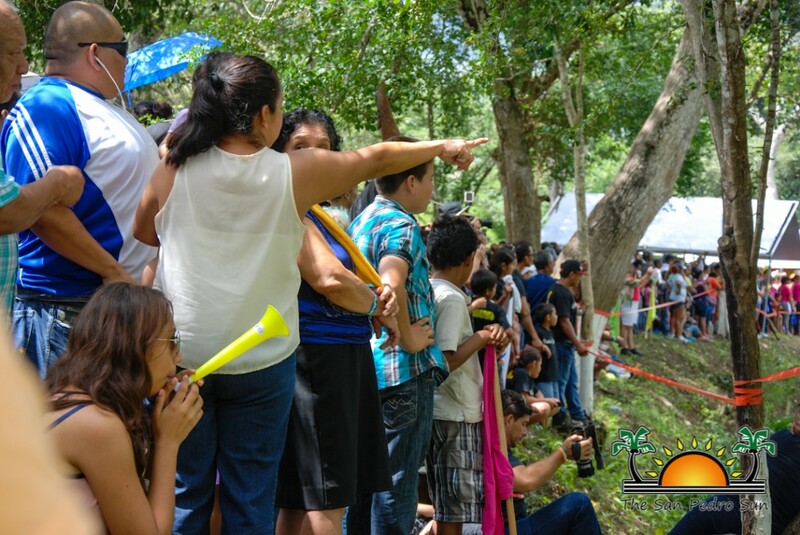 All top teams in the various categories were also given their prizes, and all participants who finished got a medal. 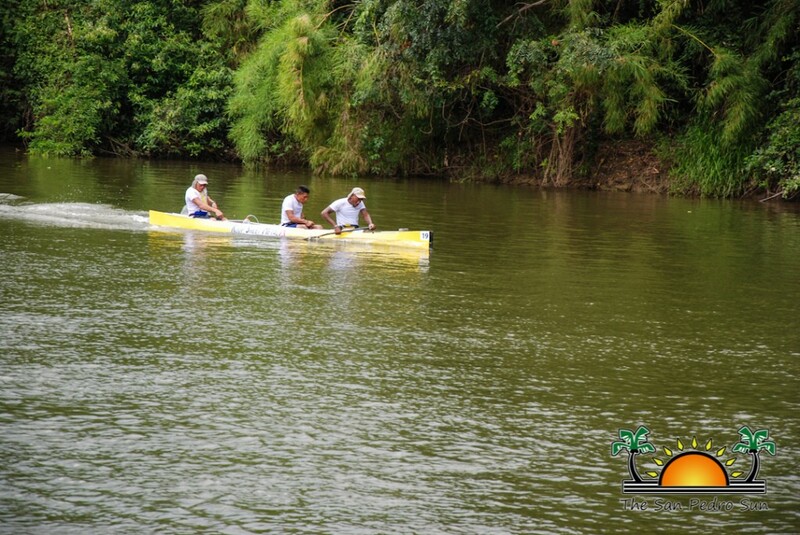 Congratulations to all the participants of this year’s La Ruta Maya Belize River Challenge. We look forward for the 20th edition, in which Koop Sheet Metal will be back defending their championship. 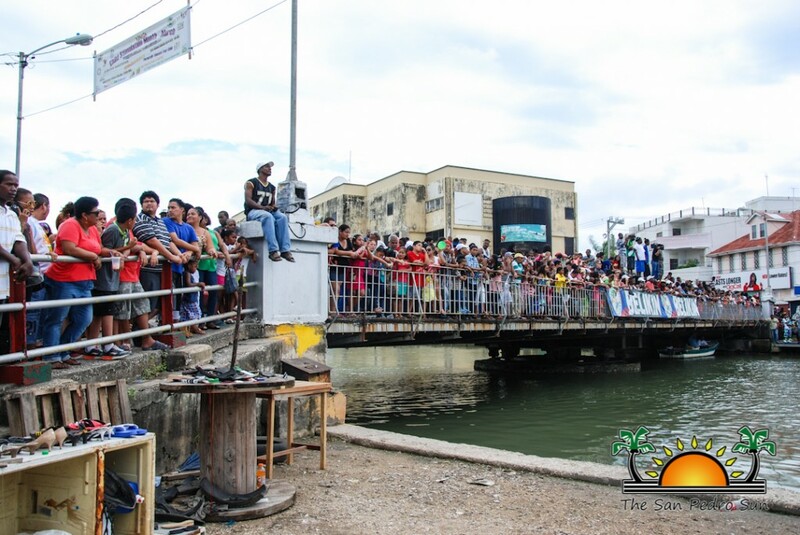 Kudos to all the organizers and sponsors for making the event possible and keeping the tradition alive!